The following classifications are guidelines to be used in obtaining quotations and placing orders for uniform types of molds. It is our desire, through these classifications, to help eliminate confusion in the mold-quote process and increase customer satisfaction. It is strongly recommended that mold drawings be obtained before construction is started on any injection mold. Even though parts may seem simple enough not to warrant a mold design, a drawing showing sizes and steel types will pay for itself in the event of mold damage. As the applications of plastics become more sophisticated, so must mold designs. 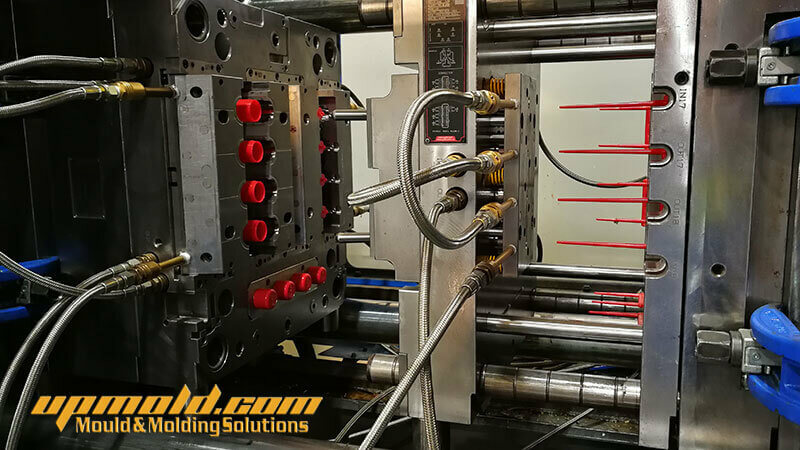 When designing a mold for a difficult part there are resources available to the moldmaker and molder to confirm the best mold design. For these designs it is recommended that a computer aided flow and/or cooling analysis be performed. These programs may help determine the best mold design, saving time and cost of design rework. These classifications are for mold specifications only and in no way guarantee workmanship. It is very important that purchasers deal with vendors whose workmanship standards and reliability are well proven. Maintenance is not the responsibility of the moldmaker. Normal maintenance, such as replacement of broken springs, broken ejector pins, worn rings or the rework of nicks and scratches should be borne by the molder. Mold rework costs should be closely considered when deciding which classification of mold is required. This standard does not constitute a warranty or guarantee by the Society of the Plastics Industry, Inc., or its members for the classifications or specifications set forth herein.